I’ve always preferred to demonstrate Adobe’s product direction with product rather than promises of what’s to come. 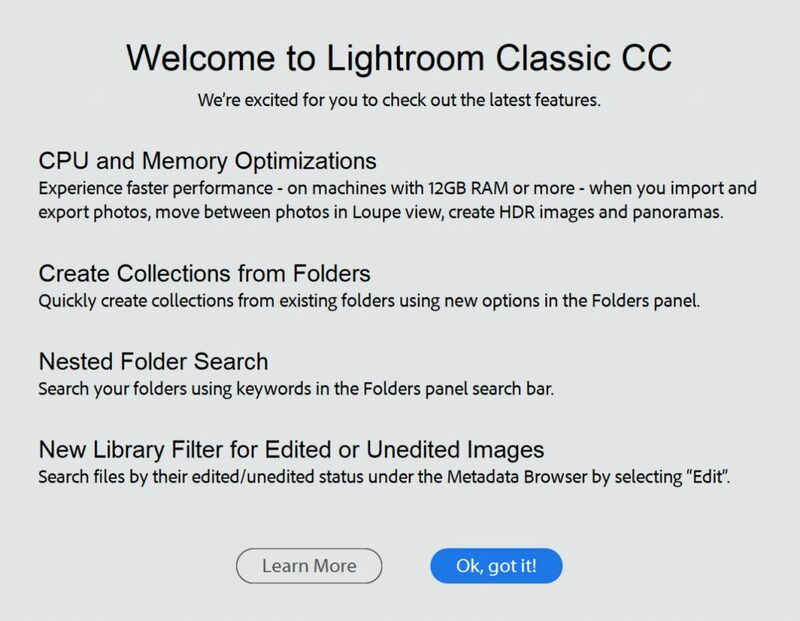 However it’s become clear to the team and my execs that Adobe needs to be more proactive in our communication with customers when it comes to Lightroom. The main thrust of the 7.2 release is clearly performance, but there is also going to be a way to filter your folders panel by name. Hopefully it will be similar to the ones in Keywording List and in Collections, and it’s going to be great to get something I have been campaigning for – for at least 5 years. One warning is that the articles focus on export and import speed. That’s not for any reason other than these tasks are specific and measurable. You can’t easily or objectively measure the time you can save from 7.0’s embedded & sidecar workflow or from 7.1’s new Auto treatment. A second comment is that the articles measure 7.2 against 7.1, and you should really measure Adobe’s efforts against 6.14 if you want to assess their efforts.